ahead of my normal Valentines schedule. 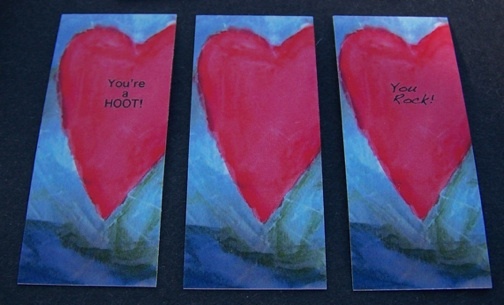 I'll cut to the chase so you can check out these cute little valentines treats complete with 9-year-old approved (sort of) messages and then you can hurry over to Moo and order your own customized Valentine cards! My son painted this about masterpiece entitled "kind Heart" 2 years ago in school and I have just loved it ever since...the colors, the style...it stole my heart! 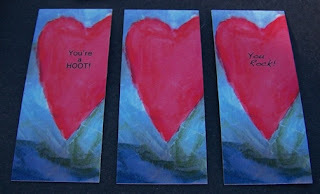 This year I thought he would get a HOOT out of seeing his artwork on these minicards from Moo. It was so easy to create my own card...it took minutes. 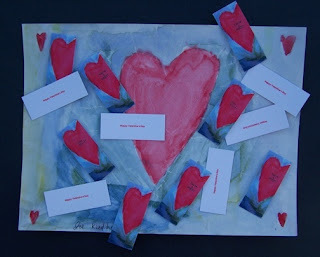 Create the card at Moo. 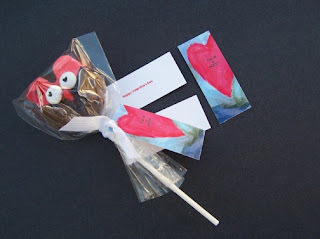 Attach the card to your treat! The New Project Party is happening. Check out the new rules! Then my friend Jenn over at Rook No. 17 made these A-D-O-R-A-B-L-E owl treats and "You're a Hoot!" seemed like the perfect sentiment. You must check out these sweet owls over at Rook No. 17 and guess what they are also a part or The DIY Club's January/February 2011 eZine. 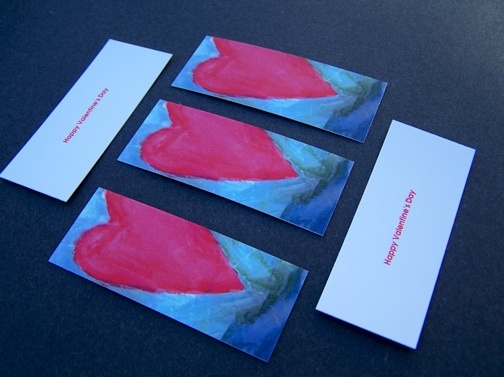 I also had some minicards printed without any writing on the front, just the beautiful painting....and on the back a simple "Happy Valentine's Day" was the to-the-point message we decided on. I am on my way home tomorrow! They look fantastic Holly! Great idea! I do not have a single craft gene in my body.... But I LOVE this idea and I even may try this bc it's THAT adorable. Thanks for sharing. Such a fab idea. Travel home safely!!!! This is soooo cute Holly! I love the artwork - it looks professional! The cards are so sweet. Seriously - you could sell those! This is such a neat idea! Looks great too. I am sure the kids will enjoy it. So cute! 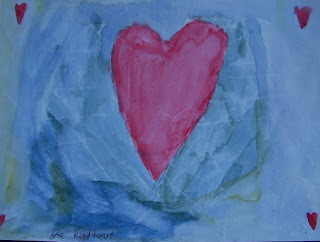 I am making 80 Valentines Day cards today but they are going to definitely be mass-produced - ha! Holly, I love the fact that you used that beautiful, original piece of art from Joe. 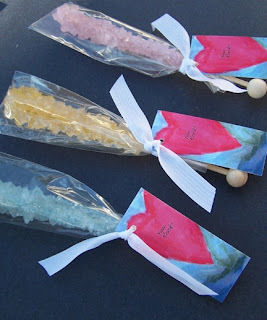 I love the rock candy idea! This post is a fun V Day post. You're always full of super fun ideas. I'm Back! Tickled Pink No. 41! Link it Up! DIY Me a Resolution for the Kids! SPOTLIGHTS Tickled Pink No. 38...Finally! SPOTLIGHTS from Tickled pink No. 37...FINALLY! DIY CLUB Monthly Project Party has CHANGES!